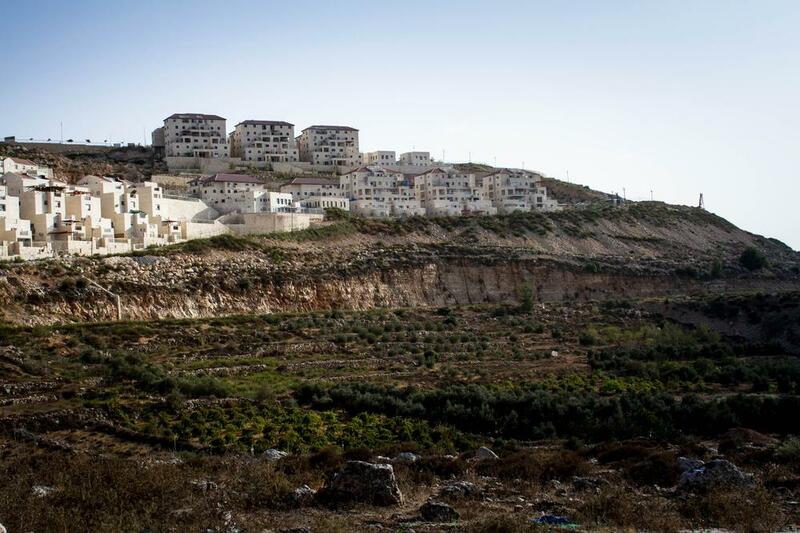 Wadi Fukin, ocuppied West Bank - Israel recently announced its decision to seize nearly 400 hectares of land in the occupied West Bank, a move anti-settlement activists termed the largest land grab in 30 years. Official letter to the villagers announce that their land is now 'state land'. The letter was written in Hebrew and Arabic and pinned on every cardboard sign planted in the land. The farmers have 45 days to appeal the decision. 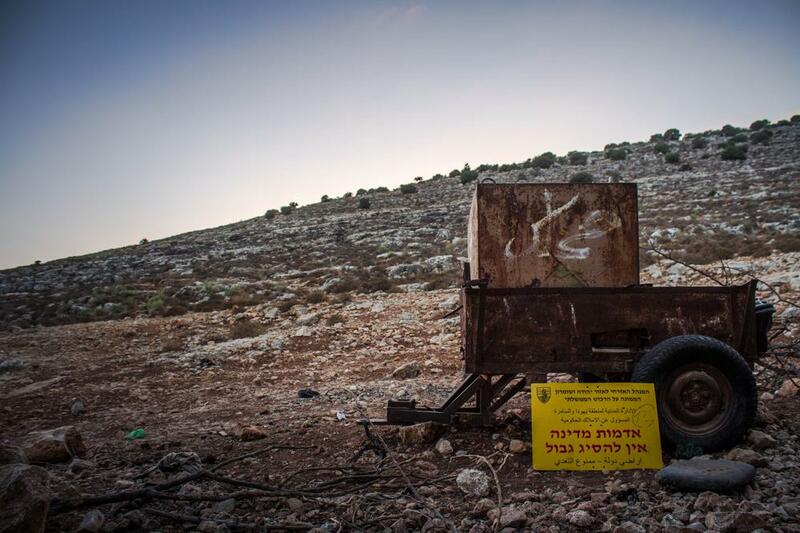 On every soon-to-be-seized land, the Israeli army has planted an official 'state land' yellow sign. All of the inhabitants removed and most of them destroyed the signs. 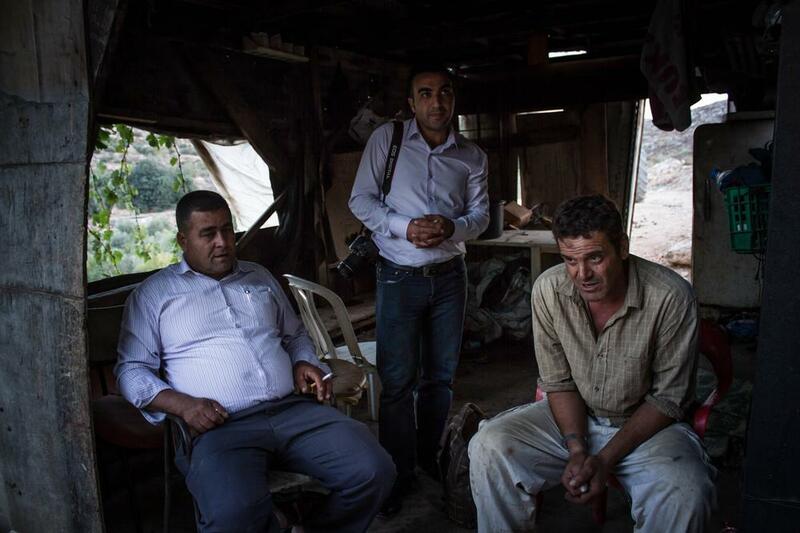 Ahmad Sokar, mayor of the village (centre), and his assistant visit Ibrahim (right), whose land is going to be seized. 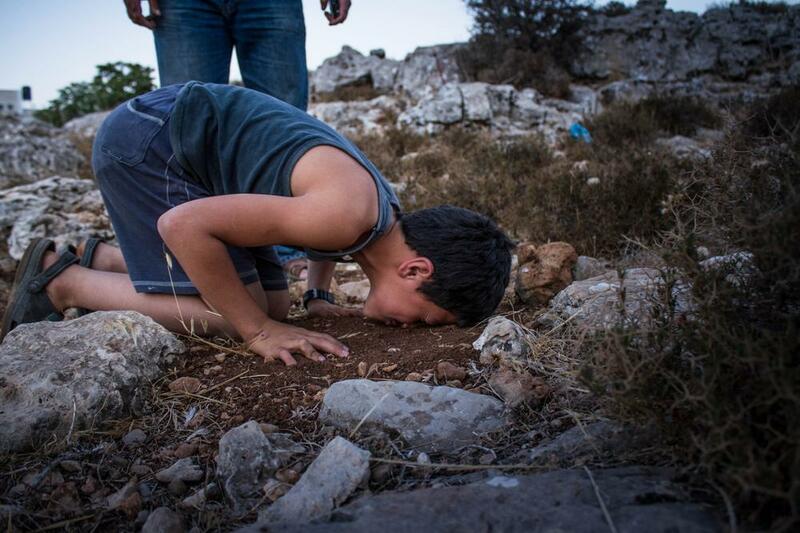 Mohamed, 7, kisses his father's land where they had planted olive trees six months ago. 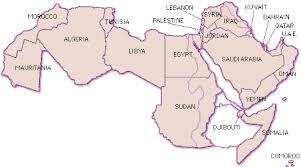 The Israeli army came and extracted them all. 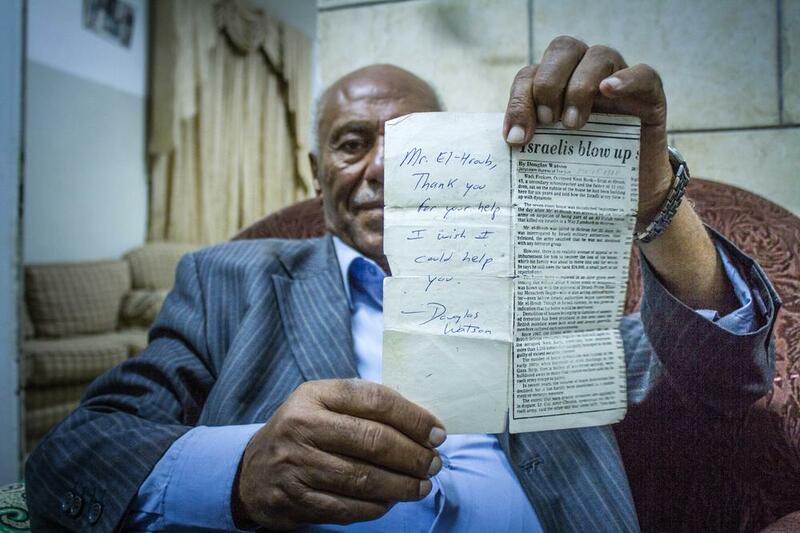 Mohamed's father, Mustafa, received in addition a bill of 168 shekels ($46) to pay for the trees' removal. Mohamed and his father Mustafa sit on their land. 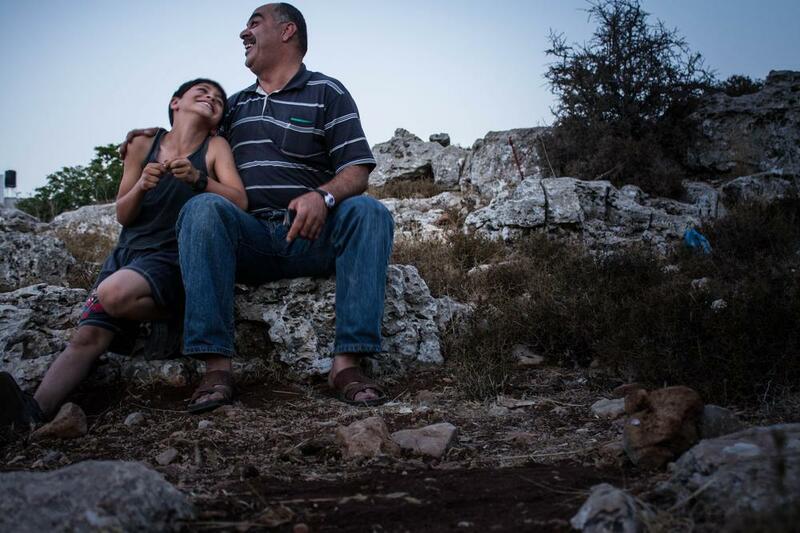 Israel cut down all of their olive trees, but they still find reason to love and laugh. 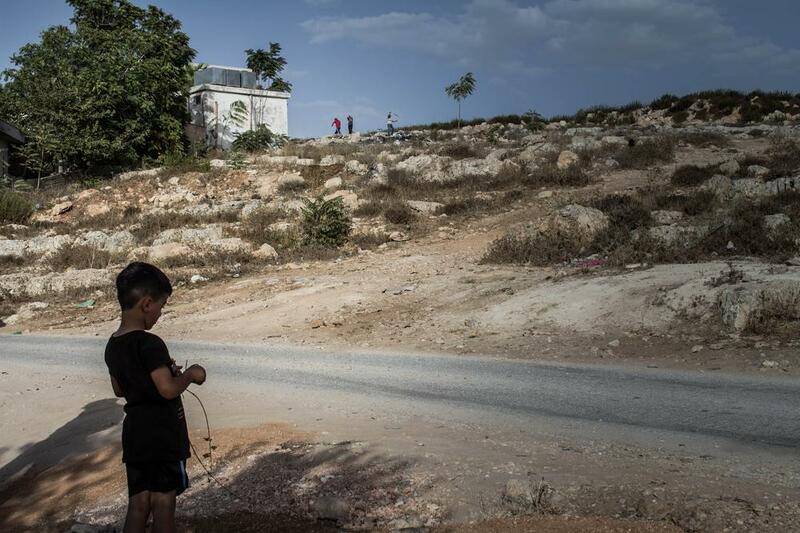 Mohamed plays near his school - Israel refused authorisation to renovate the school. This part of the village is also often targeted with tear gas. 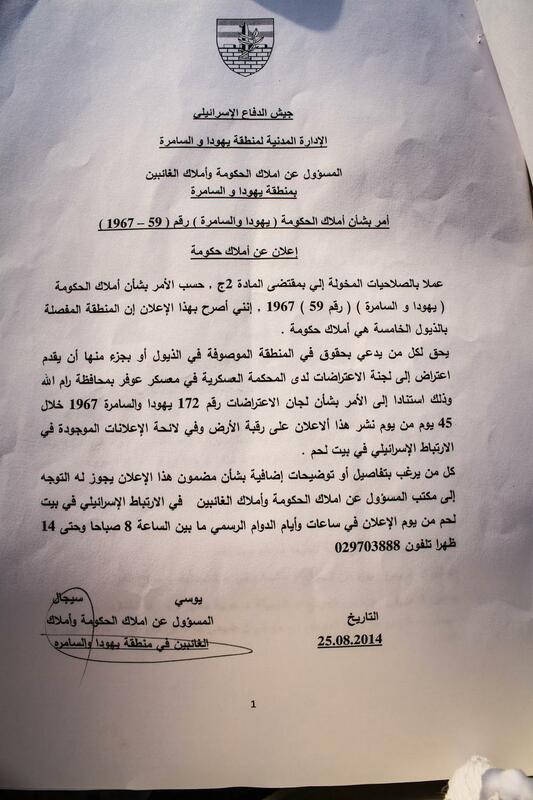 Ezzat el-Hroub found out through a media statement that nearly 10 acres of his land would be taken from him. In 1980, Israel took 5 acres and blew up his house because of 'terrorist activities'. They later recognised it was 'an error'. Hroub shows the article written by the American journalist Douglas Watson about the case. Four girls from the village play in the playground. The site is threatened with demolition because it is part of the last land seizure announcement. 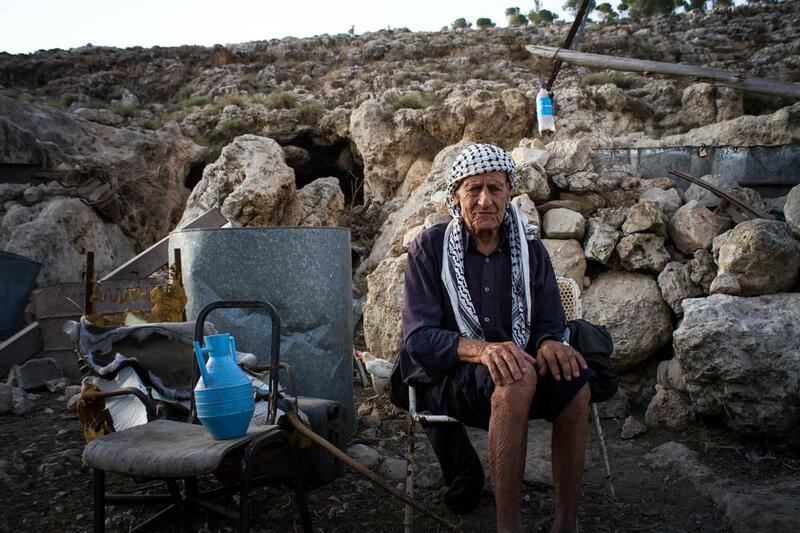 In 1948, Israel took half of now 82-year-old Hassan's land. He now lives in a cave with his wife. 'It is not enough to take our land, they also want our caves, they want everything. But it is our life,' he said. Israel wants the cave so it can build new settlements on the mountain. 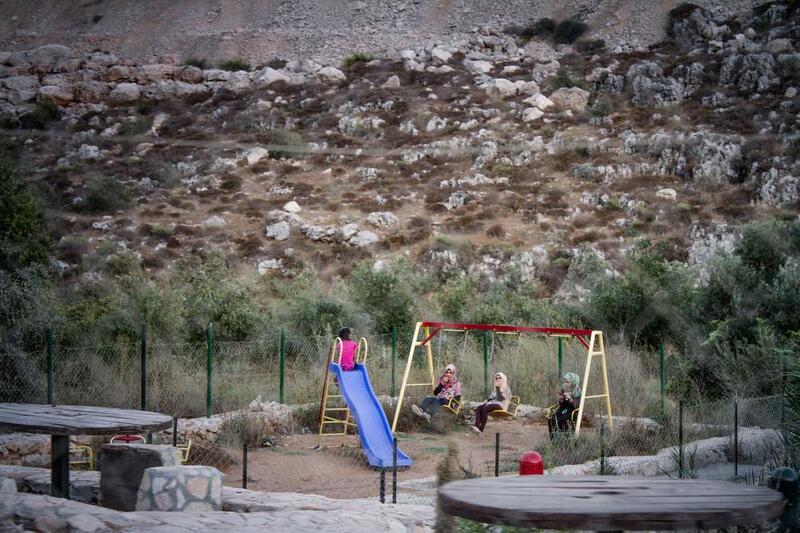 This Israeli settlement sits just above the Palestinian village of Wadi Fukin. The settlement discharges sewege water directly on Palestinian farmers' land, ruining the harvest and natural springs.